This year, the autumn colors for Mt. Halla will start turning on Oct. 16 and will reach their peak on Oct. 29. Mt. Halla, Korea’s highest peak is a symbol of Jeju and a UESCO World Natural Heritage icon. Weatheri (www.weatheri.co.kr) a site that informs people about the current weather conditions of 3,773 regions around the world, predicts that the first autumn colors will turn four days faster than last year. According to Weatheri, the autumn colors for Mt. Seorak (설악산), Mt. Geumgang (금강산), Mt. Bukhan (북한산), Mt. Songni (속리산), and Mt. Jiri (지리산), will start turning on Sept. 22, Sept. 25, Oct. 17, Oct. 16, Oct. 10, and their color will peak on Oct. 19, Oct. 16, Oct. 29, Oct. 26, and Oct. 26, respectively. The reason that the first change in autumn colors will come earlier than normal this year is due to the big temperature differences between day and night and the increasing amount of sunshine. 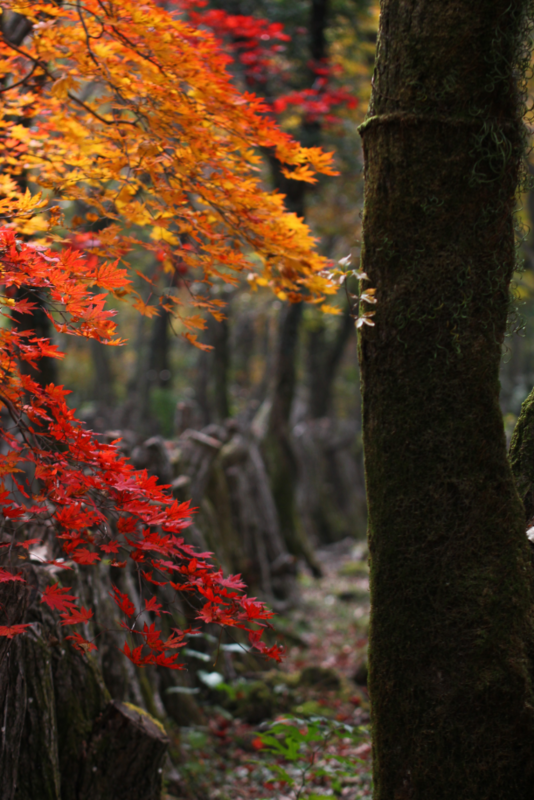 The peak for autumn color is usually two weeks after the leaves begin to first change. For the central area of the Korean peninsula and for the southern area around Mt. Jiri, it will be around mid-October to late October. The southern district will see the peak come in late October and early November. The first autumn color is determined when 20 percent of the leaves on the mountain change and the peak is determined to be when 80 percent of the leaves have turned. -Bring plenty of snacks and water. The hike is not easy and you’re going to be up there for at least 8 hours. Unlike other mountains in Korea, there was actually no access to fresh spring water on the trail. There is a shelter along the way selling snacks and bottled water though. -Set off as early as possible in the morning. The mountain rangers stop allowing people to go past the shelters at certain times every day. This depends on the season. Please check before you go. -If you decide to go in winter, you will need winter hiking equipment since the mountain gets really snowy. Crampons are recommended, along with some warm layers. Don’t forget to wrap up your extremities as well, of course!